Are you interested in studying an MBA at China’s top independent business schools? You are invited to join the event in Shanghai on Friday 12th April at De He Tea House to network, learn more about business in China, and about the CKGSB MBA Program “The Entrepreneur’s MBA” , and about scholarships available. 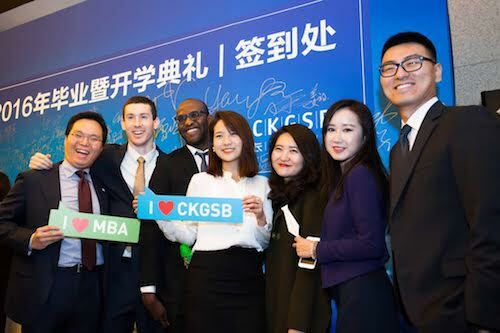 How does CKGSB MBA help international students to learn from world-class faculty to leverage unrivalled business alumni network and to advance their careers in China and in great China region? Come and visit us at out Shanghai Roundtable session 12 April Friday evening. One belt one road full scholarship is waiting for you. 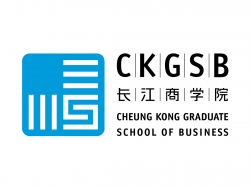 Cheung Kong Graduate School of Business (CKGSB) is China’s first independent, faculty-governed and non-profit business school. Founded in 2002 with support from the Li Ka Shing Foundation, CKGSB’s mission is to cultivate business leaders with a global vision, a humanistic spirit, a strong sense of social responsibility and an innovative mind-set. CKGSB has a campus in Beijing, teaching sites in Shanghai and Shenzhen, and representative offices in Hong Kong, London and New York. The school offers innovative MBA, Finance MBA, Executive MBA, Business Scholars Program (DBA) and Executive Education programs. You can learn more about CKGSB here. This accelerated English language 14-month MBA program helps young professionals transform into global business leaders with a strong understanding of China and other emerging economies. Participants will tap into unique mentoring opportunities that will connect them to the Who’s Who of business in China as they learn from some of the best academics in one of the most dynamic markets in the world. The CKGSB is known as the MBA, and has a access to a wide community of highly successful founders in China. You can learn more about the Chuang (Founders) community here. To register for the event, please complete the form below. Please can you introduce yourself in under 100 words. Please give your brief background and future goals.